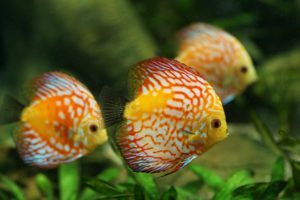 Adding a powerhead to a freshwater aquarium is an excellent way to improve the quality of your water, and it can also enhance the well being of your fish. A powerhead will allow you to circulate the water in an aquarium more completely. 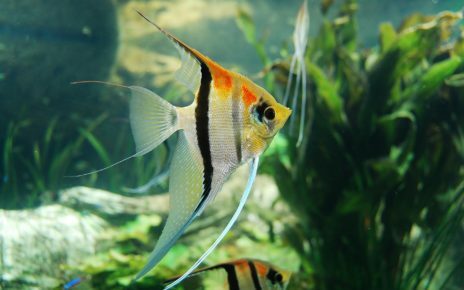 They can also keep your water well oxygenated, and the added water flow can help stimulate natural behaviors in certain fish. If you’re looking for the best powerhead for a freshwater aquarium we recommend the AquaClear 70 Powerhead (Amazon Link). The AquaClear 70 Powerhead (Buy Online) is one of the most reliable full featured powerheads on the market. This powerhead can act as a circulation pump, or it can be used to drive an undergravel filter. You can also use this pump to power a range of external filters like media reactors and skimmers. The AquaClear 70 Powerhead has a flow rate of up to 400 GPH (gallons per hour), and it can be used in tanks as large a 75 gallons. In addition, the AquaClear 70 Powerhead has an adjustable flow rate, so you can dial back the flow if you want to use it in a smaller aquarium. The AquaClear powerhead will also help oxygenate the tank since it has a venturi system that will increase the amount of agitation on the surface of the water. You can also reverse the flow of this pump to push oxygenated water into an undergravel filter, which will keep your substrate from becoming anoxic, and it will also enhance the growth of beneficial bacteria. Overall this powerhead offers the most control of any entry level powerhead on the market. That makes it the perfect fit for someone who might be starting out with a smaller tank that doesn’t need a lot of flow. 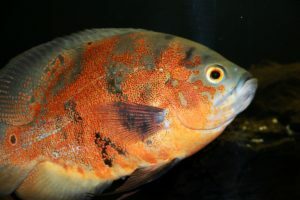 But you will still have the option of dialing it up to full capacity if you get fish that like a stronger current, or if you upgrade to a new tank. The Marineland Maxi-Jet Pro Pump (Buy Online) is a very versatile pump that has all the features of three pumps in one. This pump comes with a number of parts and accessories that will allow you to configure it for use as a powerhead, a utility pump, or as a circulation pump. The Marineland Maxi-Jet Pro Pump comes if four separate sizes and they have different flow rates depending on their use. The Maxi-Jet 400 has a flow rate of 110 GPH in powerhead mode, which makes it suitable for use in a 20-gallon tank. The Maxi-Jet 600 has a flow rate of 160 GPH in powerhead mode, which is good enough for a 30-gallon tank. While the Maxi-Jet 900 and 1200 have a flow rate of 230 GPH and 295 GPH respectively, so they can be used in 40 to 60-gallon tanks. If you use this pump as a circulation pump then the flow rates are significantly better. When the Maxi-Jet 400 is used as a circulation pump it has a flow rate of 500 GPH, and the Maxi-Jet 600 has a flow rate of 600 GPH. While the Maxi-Jet 900 & 1200 have a respective flow rate of 1000 GPH and 1300 GPH when used as circulation pumps. This pump can also be used to power undergravel filters and sponge filters. You can also connect this pump to an external canister filter, media reactor or a skimmer. Moreover, this pump can also power fountains and wave makers. The Hydor Koralia Evolution (Buy Online) is one of the pumps that we recommend to anyone who wants to add extra circulation to either a freshwater or saltwater tank. This pump comes in a wide range of flow rates, so you can easily find the right one that will meet the needs of your tank. The Hydor Koralia 550 is perfect for someone with a 40 to 70-gallon tank, While the Hydor Koralia 750 will provide more than enough water flow for a 50 to 90-gallon tank. If you have a larger tank, then the Hydor Koralia 1050 is rated for use in 70 to 125-gallon aquariums, and the Hydor Koralia 1400 is made for 90 to 160-gallon tanks. The Hydor Koralia can be mounted to the side of either a glass or acrylic tank using the included magnet and suction cup support system. The magnet will hold the powerhead to the wall of the tank even if the suction cup fails, so you don’t have to worry about the Hydor Koralia staying in place. Hydor Koralia powerheads are also extremely efficient since they consume up to 50% less power than comparable pumps. In addition, the newest model outputs 20% more water than previous Hydor Koralia models thanks to improvements in the impeller and the more hydrodynamic design. Maintaining the Hydor Koralia is a very simple task since you can easily take the unit apart if anything needs to be cleaned or replaced. The front shroud can be removed if you need to clean out any debris from the impeller or the intake grates. You can also easily remove the impeller if you need to clean it, or you can replace it if the blades wear down or break. The Aqueon Circulation Pump (Buy Online) is a good entry level pump for a freshwater tank. No matter what size aquarium you have you will be able to find an Aqueon Circulation Pump that will work well in your tank. That’s because the Aqueon line of circulation pumps will work in aquariums that range in size from 20 gallons all the way up to 250 gallons. The 500 GPH model will handle tanks up to 20 to 40 gallons. The 700 GPH model is rated to work in 30 to 55-gallon tanks. The 950 GPH model, on the other hand, is made for 55 to 90-gallon tanks. While the 1250 GPH model is good for 75 to 125-gallon tanks, and the 1650 and 2400 models will provide enough flow for 125 to 250-gallon tanks. The Aqueon Circulation Pump has a simple suction cup mounting system that will allow you to attach this pump anywhere inside your tank. This pump does lack an external magnetic mounting system though. If you think you need the extra grip a magnetic mount offers then the Hydor Koralia would be a better option in that case. The Aqueon Circulation pumps are also very efficient with the lower power models only consuming 1 watt of power. While even the most powerful models only consume a maximum of 14 watts of power. The Current USA eFlux Wave Pump Kit (Buy Online) comes with everything you need to customize the water flow in your tank. This wave-maker kit includes a wave pump with an included magnetic mounting bracket. The Current USA eFlux Wave Pump Kit also comes with an eFlux wavemaker controller and wireless remote. This pump comes in three different output capacities, so you can easily find one that will meet the needs of your tank. There is the 660 GPH model that will be powerful enough for 50 to 70-gallon tanks. While the 1050 GPH model is a great choice for a 90 to 120-gallon tank. The 2100 GPH model, on the other hand, is powerful enough to work in 200-gallon tanks. The real stand out feature of this kit is the eFlux controller. This controller is fully programmable, so you can configure it to run different flow patterns throughout the day. The eFlux controller can also individually address up to 3 pumps, so you can create a mix of flow conditions at different levels in your tank. The eFlux controller also comes with an IR remote control. The remote can be used to program the controller, or it can be used to override the programmed settings, so you can set any flow style you like from the comfort of your couch. 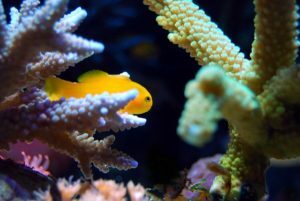 There are a number of flow options you can choose from when you run this system in your tank. You can choose from continuous waves, surge, pulse, stream and feeding modes. The different flow types will allow you to more accurately simulate the native habitat of your fish. While the feeding mode will turn off the pump at set times, so your fish can eat their food without it being blown all over the place. Overall the Current USA eFlux Wave Pump Kit offers professional level features at a very affordable price. If you want the ultimate control of the water flow in your aquarium you won’t find a pump that beats this one. 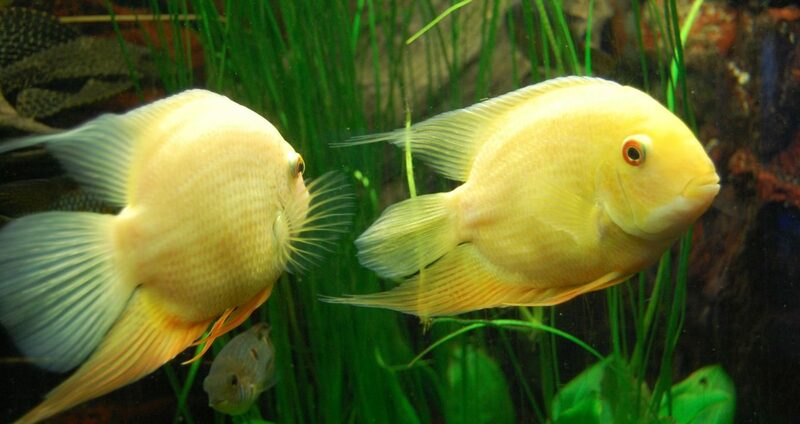 One of the main reasons people add a powerhead to their freshwater tank is to increase the turnover rate. This can help reduce “dead spots” that your filter might not be powerful enough to reach. 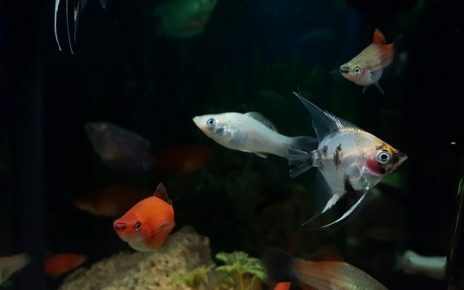 By reducing pockets of stagnant water you reduce the risk of harm befalling your fish, and adding a powerhead can also help increase the number of nitrifying bacteria in a freshwater tank. 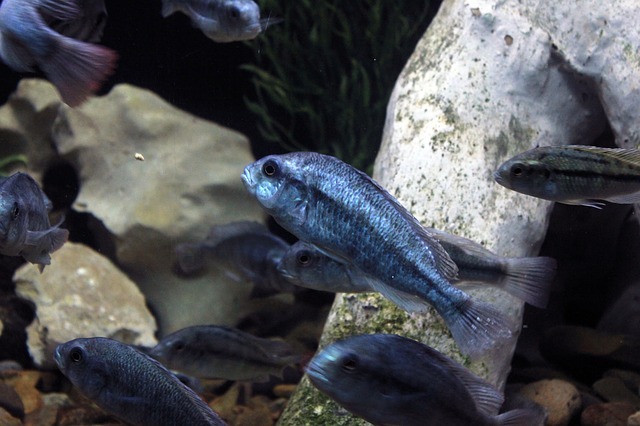 Another good reason to put a powerhead in a freshwater tank is to provide your fish with a more natural environment. 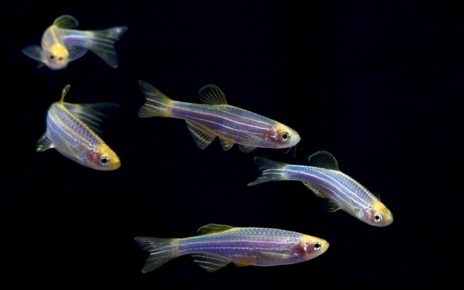 A lot of fish we commonly keep in aquariums come from streams and rivers. In these moving bodies of water, they constantly have to swim against a current to seek out mates and to find prey. 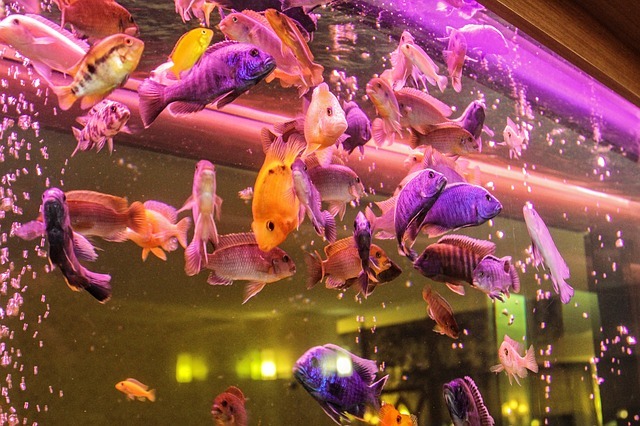 By adding a powerhead to an aquarium you can keep your fish active throughout the day, which can help bolster their overall mental and physical health. If you run your powerhead close to a gravel substrate it can help stir up some debris from the bottom of your tank. This debris can then float towards your filters intake, so it can more easily be removed from the tank. 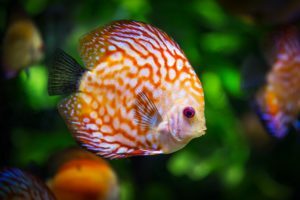 This can be especially helpful in planted tanks where you can’t easily use a gravel vacuum, or if you are just looking for an easy way to get some of that detritus out your tank. The current a powerhead generates also can add a nice amount of movement to your tank. Not only will your fish be more active, but your plants and other decorations will also respond to the water flow as well. Long leaf plants like Java Fern or Hornwort will react the most to a powerhead, but even small to medium plants like anubias will also move around in your tank. If you plan on getting a powerhead for a freshwater aquarium then you will need a powerhead that has a flow rate of 10 GPH (gallons per hour) for every gallon of water in your tank. That means if you have a 20-gallon aquarium you will need a powerhead with a flow rate of 200 GPH in order to properly circulate your tank. 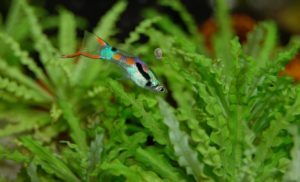 The optimal powerhead placement in a freshwater tank is towards the top of your tank. This will create the most surface agitation, which will help oxygenate the water. Placing a powerhead higher in your tank will also limit the amount of debris the pump stirs up. Moreover, if you use a sand substrate, then you definitely want to keep the power head as high up as possible since you don’t want it to blow sand particles all over the place.